Conversion at the laboratory scale occured at the University of Washington in Seattle, WA (left). 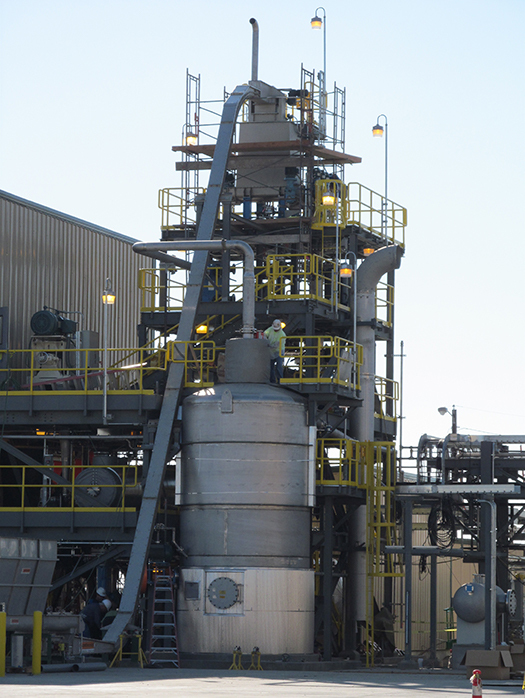 Semi-commercial scale production took place at the ZeaChem demonstration refinery in Boardman, OR (right). It is important to work at these different scales. Lab experiments can explore different options, and the refinery tests whether the optimal laboratory methods can be affordably reproduced at commercial levels. Problems encountered at the larger scale can be explained to the lab researchers, who then work on potential solutions. 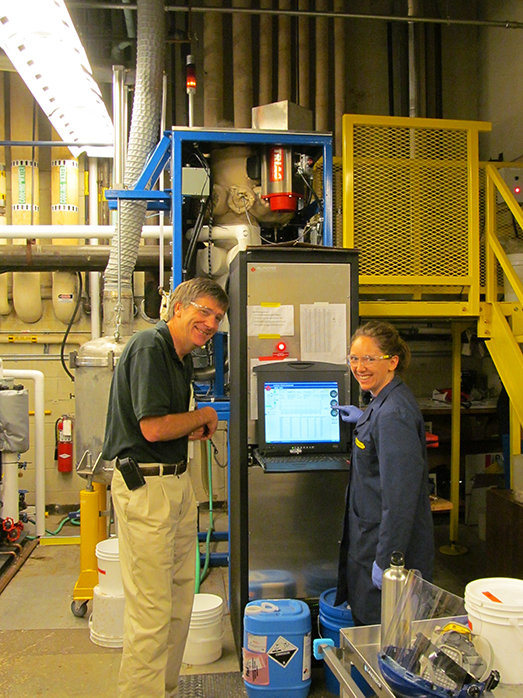 Additional research was conducted at Idaho National Lab, Forest Concepts, and Southwest Research Institute. Read about it in our AHB Newsletter Article – The Devil is in the Details: Understanding Poplar’s True Potential as an Energy Feedstock through Biomass Studies.